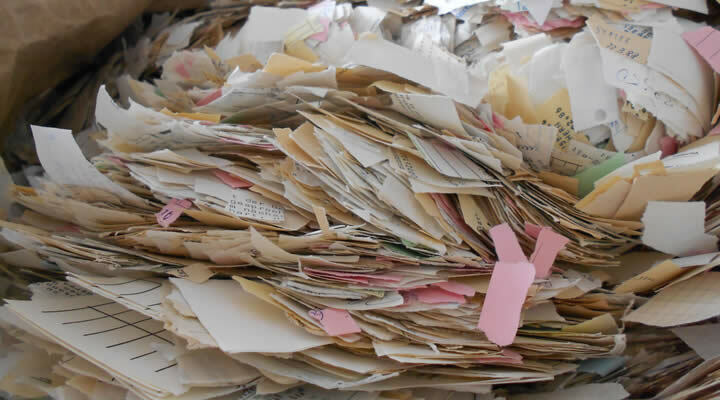 The Stasi documents that were shredded into millions of little pieces carefully by members of the secret service in 1989 are being glued back together by puzzlers as we speak. The meticulous work is almost as bizarre as the work done by the Stasi employees who produced the material. The documents must be restored in order to come to terms with the past. In the village of Zirndorf, close to Nuremberg, a dozen men and women in a small, drab office overlooking a former asylum center are trying to reconstruct destroyed paperwork. Their tools: tape, magnifying glasses, and diligence. The works seems never-ending. Another 16,000 brown bags containing a total of approximately 45 million shreds to go, give or take. Each page put together by the members of the Manuel Reconstruction Project Group exposes a tiny fragment of a well-documented life. So far, the gluers have reconstructed notes on a young couple’s dinner with friends, a discussion between a father and his daughter, and lengthy digressions about the physical appearance of a casual passerby at the Kastanienallee in Berlin. The scrupulous task the project group embarked on is almost as bizarre as that of the Ministerium für Staatssicherheit (Stasi) employees who once produced the material, only to destroy everything later. In 1989 an estimated 91,000 spies worked for homeland security, and approximately 189,000 civilians were active as informal collaborators reporting their neighbors, colleagues, family, and even their own spouses at times. There were those who hid in a tiny room across from a mailbox for days and photographed everyone who mailed a letter; some conscientiously documented their neighbors’ marital problems, and there were people who eavesdropped in bars from behind their newspaper, wearing silly wigs. If you were to collect all material this frenzied documentation resulted in, you’d be able to fill a 111-kilometer bookshelf. In November of 1989 it must all be destroyed. Stasi official Erich Mielke was well aware that after the fall of the Wall the Stasi archives would be a perfect lead for evidence against former SED and Stasi employees. He ordered for the archives to be destroyed. It must have been an unnerving situation. Truckloads of documents are rushed to shredders (brand Reisswolfe, literally ‘tear wolf’), but they succumb to the giant amount of paperwork. Some Stasi officers burn files in their backyards, but that’s not a large-scale solution as it attracts too much attention. There’s only one other option: for months on end, Stasi employees are tearing up the documents by hand around the clock. The shreds are collected in bags to be burnt later. The panicky destruction operation ends on January 15, 1990, when thousands of protesters raid Stasi Headquarters at Normannstrasse in Berlin. The symbolism of the demonstration cannot be ignored, according to Der Spiegel. The people who had been afraid to speak up in public seize the stronghold that had suppressed and controlled them, not to return it ever again. Many of the protesters unleash their fury on the luxurious offices and the cafeteria, which to their horror offers delicacies including subtropical fruits, salmon and shark-fin soup. One group of the Neues Forum civilian movement is determined to find something else entirely: the archives. After searching the premises they eventually find the rooms stacked with paper. In the fall of 1990, the actions of the civilian movements result in a new law that states all Stasi documents must be secured. Still, not all activists were happy about that, as they feared social unrest. They wondered if a people could live in peace at all if it was constantly confronted with a past where one in fifty citizens betrayed their fellowman. Yet most occupiers change their minds when in March of 1990 Wolfgang Schnur is exposed as a former informal collaborator. Schnur played an important role in the opposition: in GDR times he often defended dissidents and activists. His exposure makes doubting activists realize the archives must be saved at all cost. 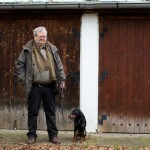 The archives become part of the German Vergangheitsbewältigung, which translates into ‘coming to terms with the past’. Since January of 1992, anyone who suspects they’ve been spied on by the Stasi can retrieve their file at the Federal Commissioner for the Stasi Records (BStU). So far, the puzzlers have processed some 500 of the total of 16,000 bags of shreds found. The restored documents provide new insights into GDR doping policy in sports, information about espionage on Western European industries, and the exposure of hundreds of Stasi informants including bishops and university professors. Deutsche Welle video about the (manual and computerized) reconstruction of the shredded Stasi documents. Diligent as they may be, the reconstruction team needs about 700 more years to turn all shreds into documents again. Since 2007, the BStU has been working with the Fraunhofer Institute, which has developed an ingenious e-Puzzler: a computer program that can match large quantities of shreds. Still, it’s quite laborious. Shreds must be scanned, and tagged for characteristics like color, texture, and serrated edges. The German government has already spent eight million euros on the development of the e-Puzzler, and another two million will be made available for the project soon. Apart from the millions of euros and the meticulous work, there’s personal drama involved with the opening of the Stasi archives, too. Whoever reads their file might find out their own father, best friend, or partner ratted on them. Is it worth it? Perhaps numbers can answer that question. Since 1991, the BStU has received 6.91 requests to view the archives. 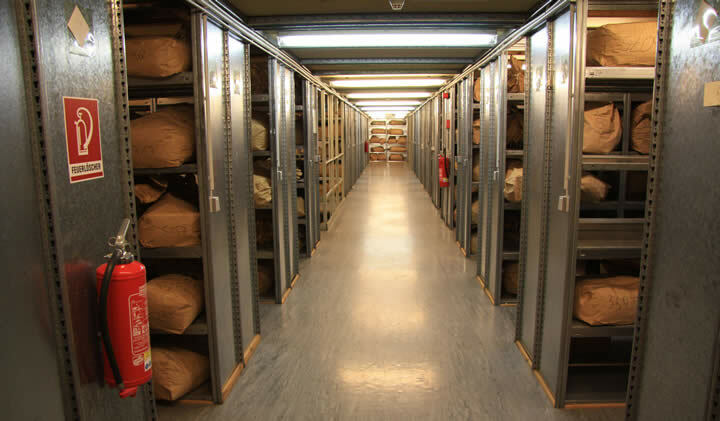 Every month there are approximately 6,000 people who see their Stasi file for the first time.